It slices, it dices, it makes julian fries... it's the one and only Wakaba Onion-O-Matic. Yes, for only $19.99 plus $4.95 shipping and handling you can own this one-of-a-kind miracle machine. Call now! 1-800-WAKABA-O-M. That's 1-800-WAKABA-O-M. Our operators are standing by to take your call. And order within the next ten minutes and we'll include an extra roll for absolutely free. 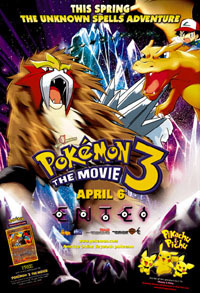 A third Pokémon movie?! Yeah, that's right. Just when you thought Pokémon was out of your life and you could start worrying about Yu-Gi-Oh, out comes yet another Pokémovie. But, don't freight... this one's worth checking out. Justy Ueki Tylor... the name will go down in history and will forever be associated with greatness in the hearts of all the people he has touched. 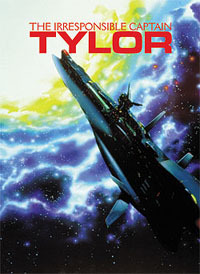 Don't you think it's time you experienced the light-hearted wonder that is Tylor? Filming is job number 1! It is a period of the civil war in Japan in the 19th century. The streets flow with blood as the people have found themselves living in a scary time of confusion. Shinta, a young slave, was taken under the wing of Hiko, a master in the school of Hiten Mitsurugi. He trains the boy, changes his name, and teaches him to become a great swordsman. 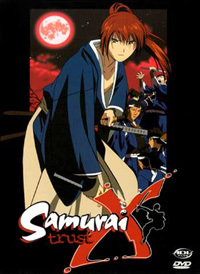 Kenshin then leaves Hiko to go fight in the war to bring forth a new era. "Don't break the stick!" That about sums up the gameplay of this quirky Japanese puzzle game. Don't let the simple premise fool you: it's addictively fun! Thirty years after the original F-Zero, people are still racing hovercars over flat landscapes at high speeds. Can you dig it? By many accounts Final Fantasy IX was one of the best RPGs of 2000 and sported one of the greatest ensembles of characters and storylines seen in an RPG. 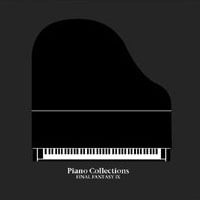 While not for everyone, the piano collection will be a favorite for anyone who enjoyed Final Fantasy IX's soundtrack. You know the phenomenon and you know you really gotta work to get those blazingly high scores. But, how can you contain yourself to just sit around listening to the songs you've practiced for so long? Simple, count the beats and remember your footwork. Stay cool! Undoubtedly you know about the group known as BOA. But, do you really know what kind of music they perform? If you think all they do is anime music, then think again. BOA is, well, BOA. 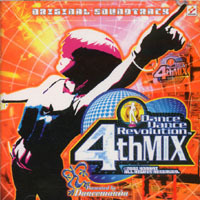 Compare to whatever groups you like, but the music they perform is totally unique. 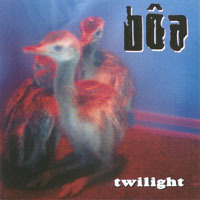 If you still don't know who BOA is, they did the theme song for Lain. Got it now?